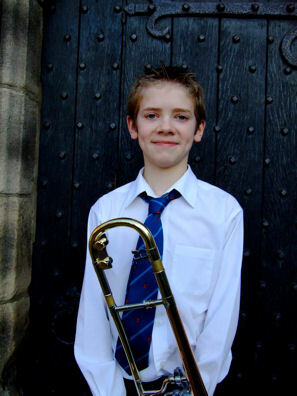 At only 12 years old, trombonist Peter Moore has just become the youngest ever winner of the BBC Young Musician of the Year award. Born in Belfast, where he lived until he was 8, Peter battled against four other talented musicians the grand final of the competition, staged at the Millennium Centre, Cardiff. Peter currently holds the position of Principal Trombone of the National Children's Band of Great Britain and is solo trombone player of the Wingates Band. "It feels so good to join all the big names that have won before, and think of how prestigious it is. To be the youngest winner is just amazing but I don't think age really matters in a competition like this." "I think playing the trombone is fun. It's something I always wanted to do. I didn't want to pick a boring instrument. In the future, I'd love to give concerts and entertain people, because I just enjoy playing so much. I think more young people should get into classical music, as it's a good way of educating you about music."